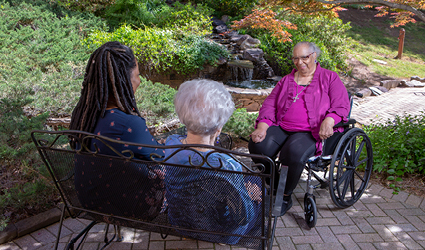 About 70 percent of the seniors living in our communities cannot afford their medical and living expenses, and your generous contributions help with costs that are not covered by insurance, Medicare or Medicaid. These expenses can range widely from therapy and rehabilitation services, to extra eyeglasses or power wheelchairs. Donations also help pay for outings, activities and programming that greatly enhance the quality of life for the seniors who stay with us.